Advanced analytics and data products have become a primary source of value generation. Customers and AWS Partner Network (APN) Partners need better, faster, and more relevant insights from their data in order to stay ahead of the competition. But using data effectively requires a data architecture, where raw data can effectively be collected, categorized, and transformed into valuable insights. A data lake architecture can provide a solid foundation and allow you to store massive amounts of data in a central repository so it’s readily available to be categorized, processed, enriched, and consumed by diverse groups within an organization. There’s no silver bullet to build a data lake, however. In most cases, building a data lake entails the use of dozens of technologies, tools, and environments, including data from third parties. When done right, a data lake can open the door to a whole new set of advanced analytics, facilitating data science and machine learning. 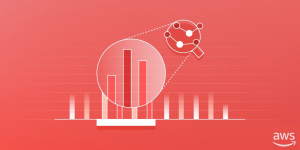 Amazon Web Services (AWS) provides a broad set of managed services for data analytics that, along with a strong APN Partner community, can help you build a scalable, secure, and cost-effective data lake. However, customers and APN Partners often ask us to show them the big picture. They want to know how to put all these pieces together so they can explain it to their own stakeholders. That’s why we created a new poster and video explaining the overall flow of data—from data collection, storage, and processing all the way to analytics and machine learning. Customers and APN Partners across every industry are using a similar blueprint to create big data applications and valuable data products. Watch the video and download your own copy of the poster, so you can use in cross-functional meetings involving both technical and business stakeholders. The key value of the AWS Competency Program is to build customer trust by helping organizations choose the top APN Partners based on workload, solution, or industry designation. 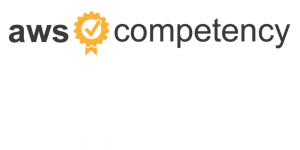 The AWS Competency Program identifies, validates, and differentiates the top APN Partners that have demonstrated customer success and deep specialization in specific solution areas or segments.